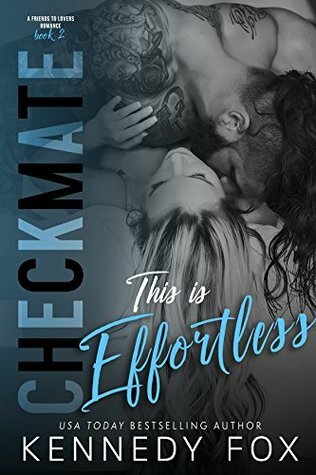 Checkmate: This is Dangerous, the first book of Logan & Kayla’s duet in the Checkmate Duet series by USA Today bestselling author Kennedy Fox, is AVAILABLE NOW! Go one-click part one of Logan & Kayla’s story today! Introducing book 1 in the Logan & Kayla saga of the Checkmate series from a secret duo of romance authors who teamed up under the USA Today Bestselling pseudonym, @KennedyFox! This second-chance romance will sweep you off your feet from the very first chapter and have you craving donuts by the final chapter! Are you ready to play the final game? This is Dangerous is now LIVE on Amazon and releases on all other platforms July 7th! Checkmate: This is Dangerous was absolutely amazing and I truly loved the first part of Logan and Kayla’s duet! I honestly didn’t think I could love a couple more than I did Drew and Courtney, but the extraordinary secret writing duo that is Kennedy Fox completely blew me away with Logan and Kayla. Their writing gets better and better with every book, and I’ve become more and more addicted to each one. I loved reading This is Dangerous, and I completely fell head over heels in love with Logan, Kayla, and their story. I was hooked from beginning to end and couldn’t get enough. Logan and Kayla were amazing characters and I loved their personalities and chemistry together. I was rooting for them to be a couple from the very beginning, and although it was slow going for a while, it was all totally worth it in the end. I loved how the story and their relationship progressed. The banter between them was highly entertaining, and I loved reading the story from both Logan and Kayla’s POV. 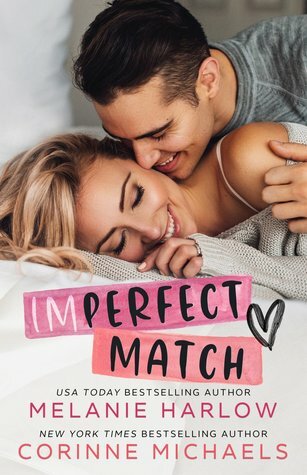 I loved the addition of Kayla’s fur babies and Logan’s family, and I also loved getting to see the previous two couples in the Checkmate Duet series (Travis & Viola, and Drew & Courtney) make appearances in this book. I loved the camaraderie and close relationships they all had with each other. Every time they were together, it was extremely humorous and entertaining, and I couldn’t help but laugh each and every time. I loved almost every moment of reading Checkmate: This is Dangerous, however the ending just about killed me. I really need Checkmate: This is Beautiful ASAP, and I can’t believe I have to wait until September to read it, but hopefully the wait will go quickly! FIVE “Logan & Kayla” STARS! Enter the release day giveaway for a chance to win a Kindle Fire, Book Beau, Leggings, a Signed Paperback, & Swag!